Nowhere except in The Awareness Principle will one find a new and consistently monist, immaterialist and 'mind only' or 'consciousness only' philosophy of the sort first put forward by Bishop George Berkeley in the 18th century. The Awareness principle is also a radical new philosophy of 'panpsychism', one which does not reduce consciousness to a mere 'feature' or 'property' of all things, but instead recognises that all beings and all bodies are forms taken by and within consciousness - being expressions of a universal consciousness field that is the very essence of the divine, of 'God'. If what we call 'God' were a being, God would be merely one being among countless others - and therefore not God. But neither is God a being that merely 'has' or possesses 'consciousness'. Instead God IS consciousness, and every being is a unique portion and expression of that divine consciousness. Question: How do you know that anything at all ‘is’ or exists? Answer: Only through AN AWARENESS of it. Question: How do you even know that YOU exist or ‘are’? Answer: Only through AN AWARENESS of being. If this is so, how can that AWARENESS be regarded as ‘yours’ or 'mine' - or as the property or product of any self, body or brain, thing or being that we only know of through that very AWARENESS? Answer: It cannot. For the AWARENESS of any self, body or being is - in PRINCIPLE - more primary than any self, body or being - and therefore cannot be a property of it. Answer: Not an objective 'substance' of any sort but an AWARENESS of subjectively experiencing tactile qualities such as hardness and softness, weight and density etc. These are not qualities 'of' any material substance but rather potential qualities of awareness or subjectivity itself. Not some fundamental aspect of any 'objective' or 'physical' universe but rather, the actualisation - within AWARENESS - of felt potentials of subjective experiencing. Answer: not some sort of supreme being that merely 'has' or 'possesses' consciousness, nor even 'Being' as such, but rather consciousness as such - AWARENESS. That is because no self and no beings - not even a 'God' - can 'be' without a primordial AWARENESS of Being. Question: What is 'a self', 'a body' or 'a being'? Answer: All selves, bodies and beings are but individual portions, expressions and embodiments of that universal field of AWARENESS which IS 'God'. WHAT IS 'THE AWARENESS PRINCIPLE'? The Awareness Principle is the principle that AWARENESS cannot - IN PRINCIPLE - be explained by or reduced to the property or product of anything of which IT is aware - any self or world, body or brain, thing or being, even a Supreme Being or 'Being' as such. On the contrary, every thing, body, self or 'being' - everything that 'is' - is an individualised portion, expression and embodiment of a universal, beginningless and boundless AWARENESS that is beyond explanation. Since it is not 'matter' or 'energy' but AWARENESS that is the sole possible reality underlying and constituting all things, all beings and all worlds, The Awareness Principle is the sole possible Theory of Everything - being a Unified Field Theory of reality which recognises all things as the expression of a Universal Awareness Field. All phenomena are perceived within fields of awareness. Just as dreaming (the field of our dreaming awareness) cannot be said to be ‘caused’ or explained by something we dream of, nor is the field of our waking awareness caused by or reducible to any phenomena perceived within it – including the human brain or sense organs. No phenomenon present or perceived within a dream can be said to be ‘caused’ or by other phenomena present or emergent within the same dream. Similarly no phenomenon perceived within the field of our waking awareness can be said to be caused by other phenomena present or perceived in the same field. There is no need whatsoever to posit any reality – whether in the form of invisible particles of ‘matter’ or quanta of ‘energy’ - lying behind what we subjectively perceive and experience in awareness as phenomena. On the contrary, all phenomena are themselves manifestations of awareness as such - emerging from and perceived within fields of awareness. · The Awareness Principle transcends ‘science’ as we know it today, because it recognises that the most basic scientific ‘fact’ or ‘reality’ of all is not the 'objective' existence of a universe of matter and energy but a subjective awareness of such a universe, as shaped by different organising field-patterns or species of awareness. 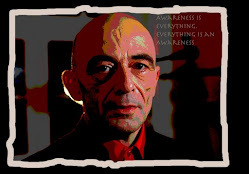 · The Awareness Principle transcends ‘psychology’ as we know it today, because it recognises that awareness is universal and all-pervasive in character– neither bounded by our bodies nor a mere product of our brains or the property of any soul or psyche, ego or self. · The Awareness Principle transcends ‘religion’ as we know it today, because it recognises that 'God' is not a 'supreme being' that simply happens to have or ‘possess’ awareness but rather that God is awareness - a Universal Awareness Field of which all individual beings or ‘souls’ are a unique portion and personification, a unique expression and embodiment - a unique 'species of awareness'. Just as empty space is both absolutely inseparable from everything it surrounds and pervades - and at the same time absolutely distinct from it - so is awareness as such ('pure awareness') both absolutely inseparable and absolutely distinct from all there is to be aware of. The Awareness Principle is therefore also a radical new conceptualisation of the Eastern principle of 'non-duality' or Advaita, one which recognises it as a state of 'inseparable distinction' - like space and its contents or two sides of the same one coin - which being both distinct and inseparable constitute 'the non-duality of duality and non-duality'. For in reality you are not what you are experiencing, you are not your thoughts or feelings about yourself or other people, or your reality. At the same time feel that very awareness – which is not ‘you’ or anything you are experiencing – as a free space surrounding your experienced thoughts, feelings or sensations – wherever you sense them within your head or body - and surrounding your body as a whole. Removing the mental word ‘I’ and replacing it with the understanding that there is simply an awareness of experiencing something is central to the Practice of Awareness. It is what allows any experienced thoughts, feelings, sensations to just be there without identifying (‘I-dentifying’) with them. This is not the same as ‘disssociating’ or ‘detaching’ from your thoughts, feeling or sensations. On the contrary, it is what allows you to freely let them be there or let them go. Instead the Freedom Mantra even allows you to freely take time to experience particular thoughts, feelings, sensations or moods more intensely and to explore them more deeply and for a longer time - but again, without ‘I-dentifying’ with them and therefore feeling un-freely trapped by them. Whatever we human beings perceive as the world around us is not 'THE world'. Instead it is an organised perceptual field of awareness shaped by the organising field patterns of perceptual awareness that constitute the essence of the human organism and the human species. Such organising field patterns of awareness are also what and make every species, including our own, a unique species of awareness. Thus the organising field patterns of awareness that shape our own human world and awareness however, are nothing like those of a spider, tick, toad, bat, shark, whale or jellyfish - which perceive neither each other nor any other organism - any other species of awareness - in anything like the same way that we human beings do. Thus what we perceive as the defining shape and form 'a dog' is nothing but our own uniquely human and highly species-specific way of perceiving another, very different species of awareness. Another dog, a spider - or a rock or tree - would experience what we perceive as a 'dog' quite differently. The greater world of awareness consists of countless worlds, each constituted and inhabitied by particular species of awareness - whether those of a specific atom or molecule, cell or organism, plant or tree, animal or human being, or those of a planet or sun, star or galaxy. Just as the Church used to regard the earth as the centre of the cosmos and saw 'God' in an anthropomorphic way - so today's new religion of 'science' remains stubbornly anthropomorphic and anthropocentric in its view of the universe - taking as it does our uniquely species-specific human awareness and the perceptual world it shapes as the very touchstone of reality - as 'the' world. In doing so it ignores the worlds of countless other species of consciousness - most of which we are intensient to and which are invisible to us. The very distinction that human science make between so-called 'insentient' matter, organic life and conscious or 'intelligent' species of 'organic' life is a failure to recognise that all that is or can be perceived is but the perceived form taken by other species of awareness within the respective worlds they shape and inhabit.